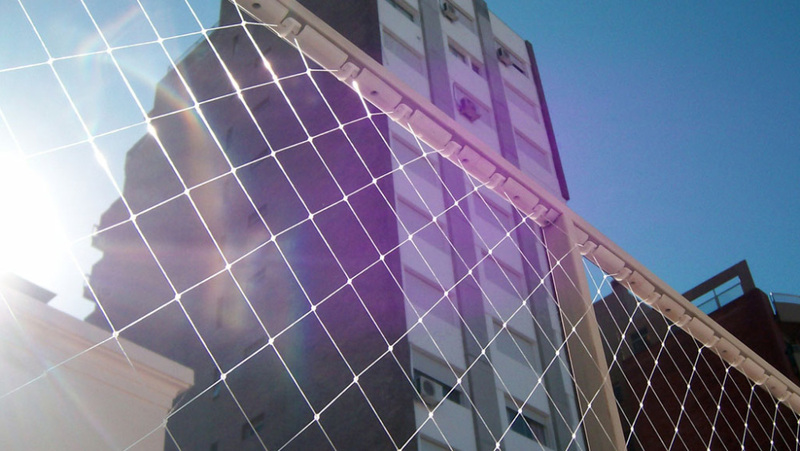 KidProtect: Safety Net for Children - Installation. 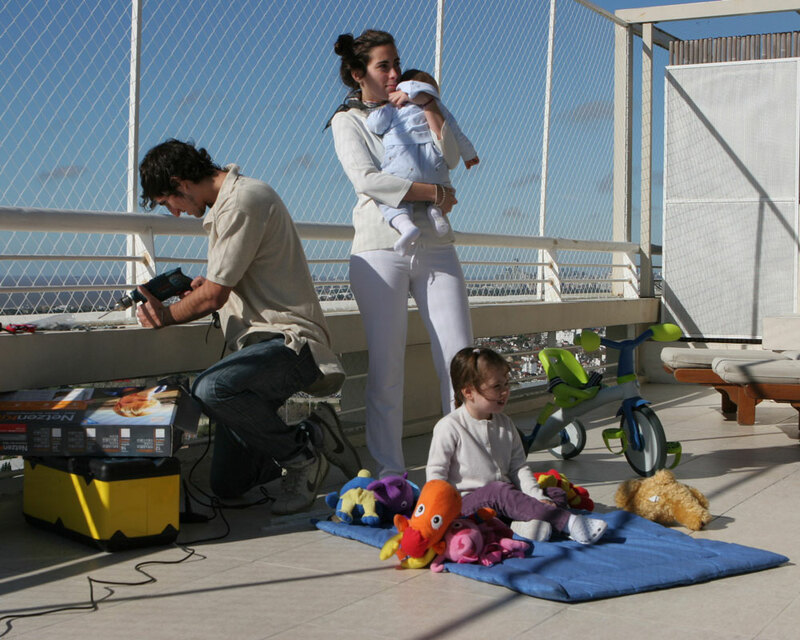 Safety net for children installation is easy. Protect your child. In this section you can find information about common installation methods, requirements and additional details. When ordering the system through our online store, you need to firstly know measurments of the window openings where the safety net is going to be installed. The system needs to be anchored (using anchor strips ) to a solid surface and the best place for that are the walls surrounding the window. Read below: Determining the base type. 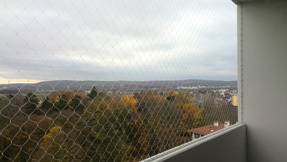 The Kidpro safety net system needs to be installed in such a way that there is enough space for the net. 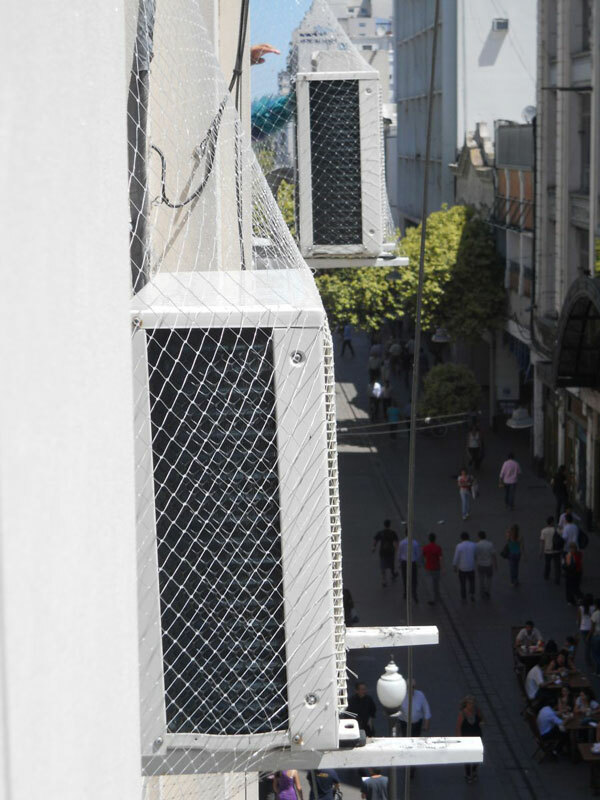 The net must not be bothered by opening and closing of the window or shutters. In case of exterior rolling shutters, the best place to install the safety net system is 3-5 cm away from the external side of the shutter. If you have regular exterior shutters the best place to install the system is between the window and the shutters. 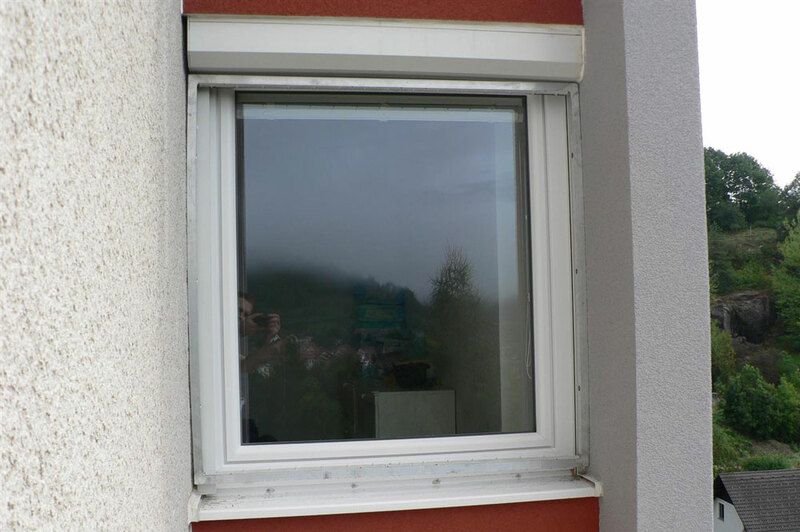 It is important that there is at least 5 cm of available space between the window and the shutters, both in closed position. 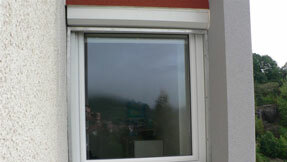 If there is no other option available, the system can be anchored also to the window frame. If there is a window shelf and/or a shutter box on the outside of a window where you’re planning to anchor the netting system we recommend using the aluminum square tube or a whole frame to avoid drilling into the shelf and/or the shutter box. The tube or the frame should be anchored left and right, deep into the base with longer screws. The anchor strips are then attached to the tube or the frame. After you determine where the system is going to be anchored, take measurments of length and height and then select desired values from the drop down options located in the order online section. Note: if you have regular exterior shutters, you might not be able to open/close the shutters once the net is installed. Before purchasing the safety net we recommend that you firstly make a plan of how the system would be anchored. 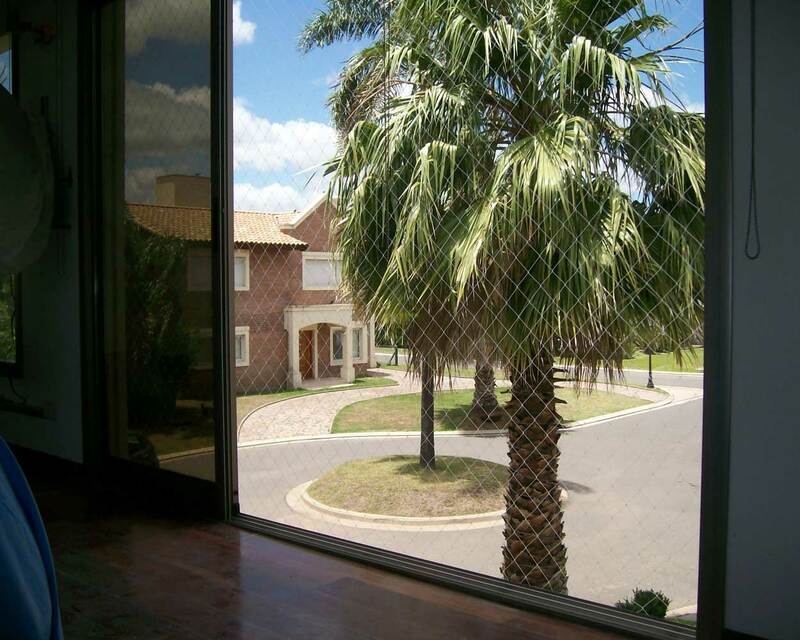 It is important to cover the entire opening with the net and not leave any unprotected space. 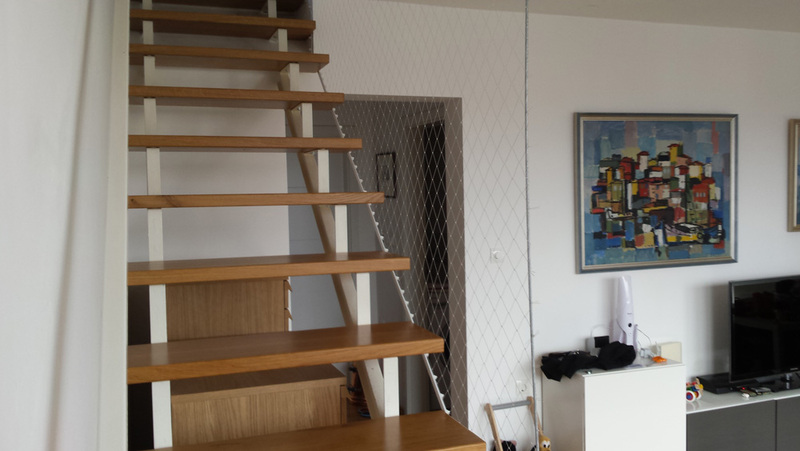 In case there is a fence, the net can be installed either from the top of the fence to the ceiling or from the floor to the ceiling. 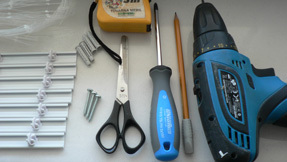 In order to avoid drilling into the handrail, it is possibile to attach anchor strips to the handrail using strong plastic ties - these can be included in the kit instead of screws. 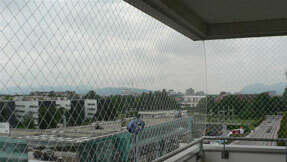 If the balcony or the terrace is L or U shaped, the net can be mounted in one piece. 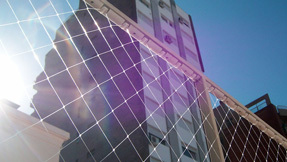 In order to avoid the net to lean towards inside in the corners, a rope or a plastic coated steel cable should be used. 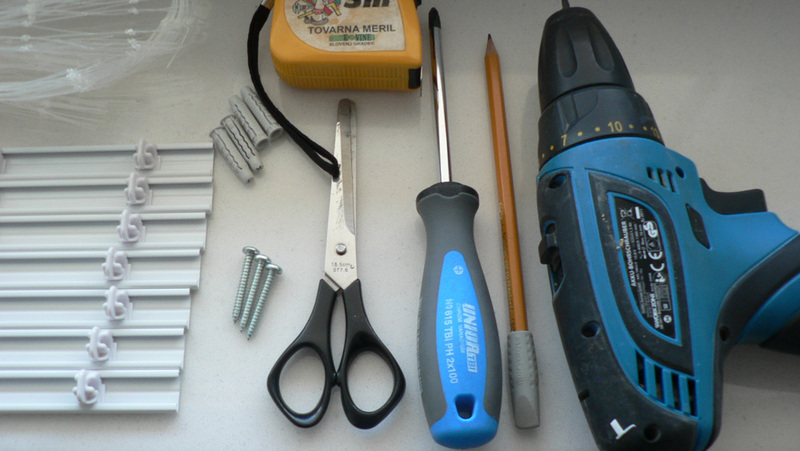 Rope or steel cable, together with the proper tensioners, are included in the kit. 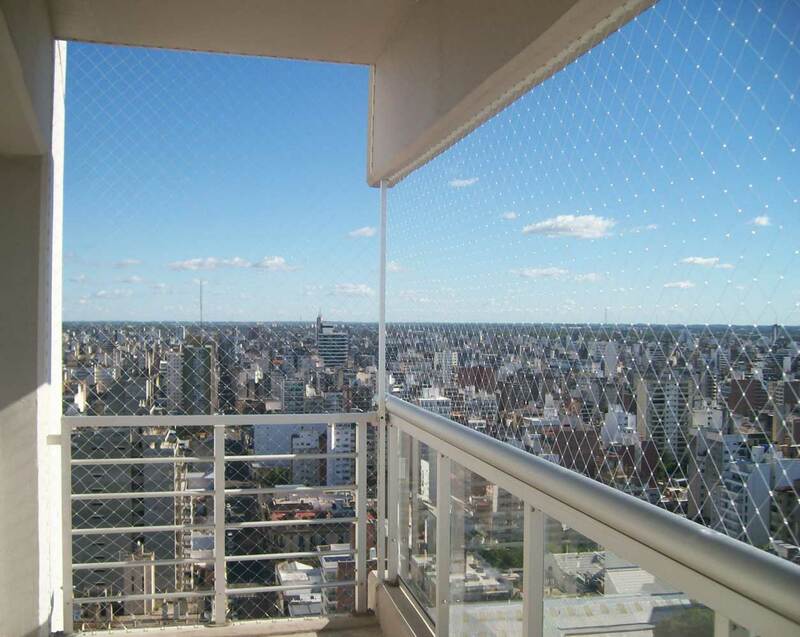 On roofless balconies and terraces, it is necessary to install a frame first, which would hold the system. The frame should be strong enough and firmly attached to the base. It is usually made of aluminum, steel or iron square tubes. Now that you have determined the way the netting system would be anchored, you need to take following measurements: length and height. 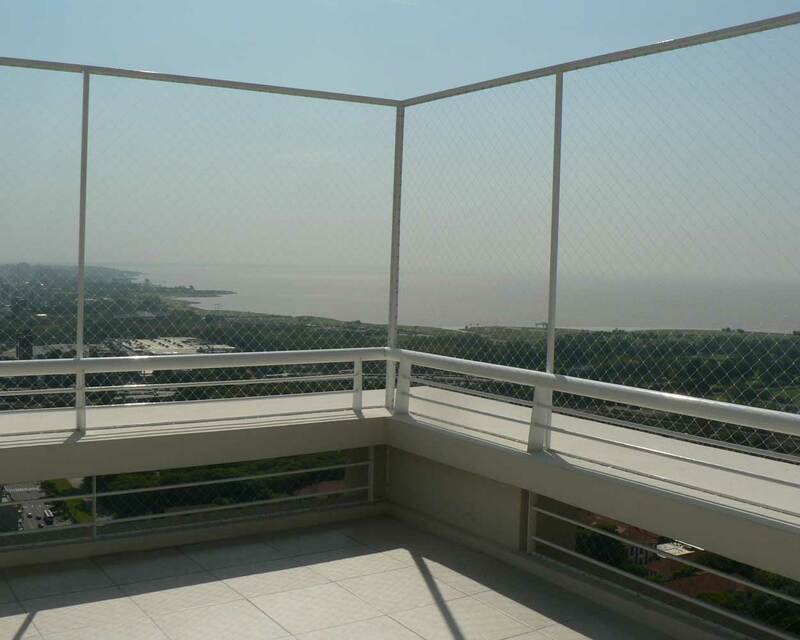 Take note of length of each side of the balcony/terrace. 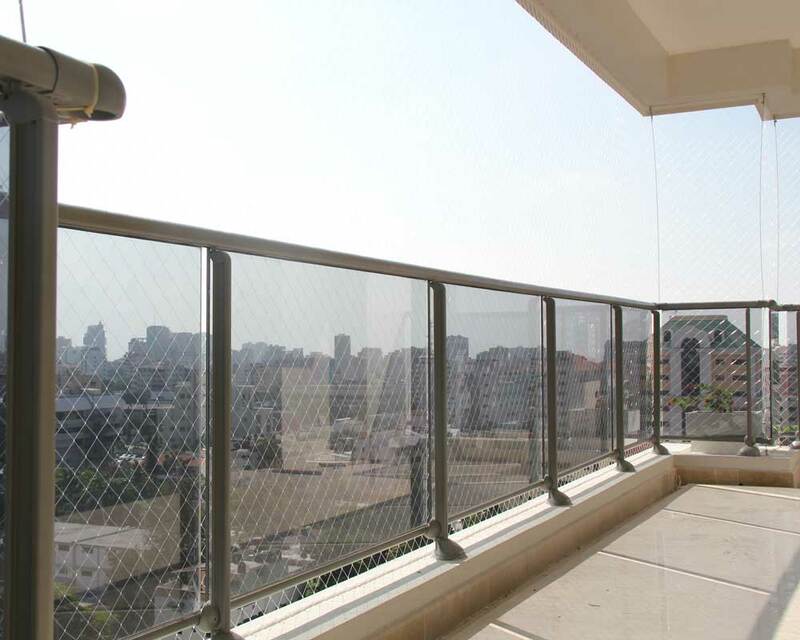 When purchasing the system through our online store, select the length that is the sum of lengths of all sides of the balcony/terrace, but please let us know about the exact measurements of each side by leaving a comment in the provided form for additional information. Also, using the same form please let us know about which kind of screws you need: for concrete, full brick, wood or metal. Note: in case you will be installing an aluminum frame first, please note that the recommended total height measured from the floor is 2 meters, for safety reasons. This means that if there is an existing fence that is 1 meter high, you would need to add at least 1 meter high netting system. Please send us an e-mail to info@kidpro.eu with photos of stairs attached so we can advise you on which measurements to take. When considering ways to anchor the netting system it is important to keep in mind that the entire perimeter of the net should be anchored. The net needs to be anchored on all four sides. 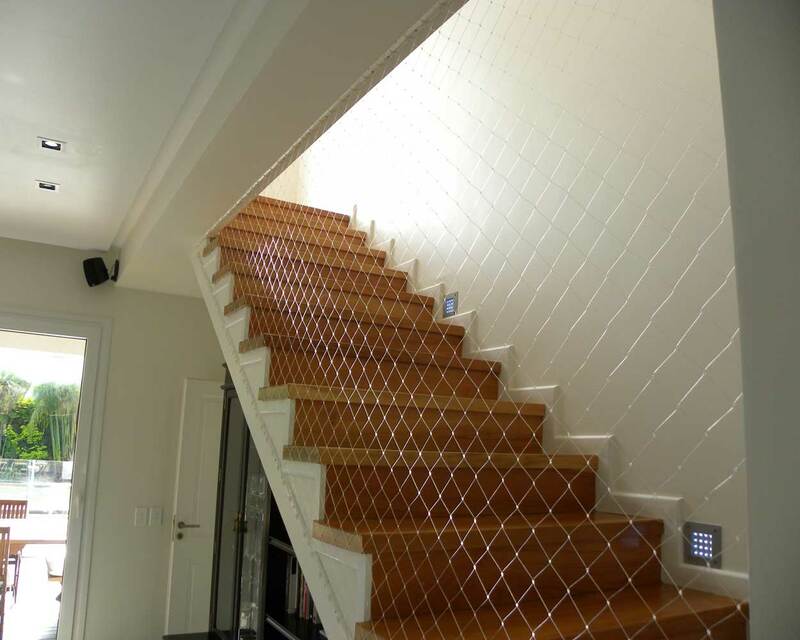 In case of rectangular shape with one side support missing (the side where the stairs are) you can install a plastic coated steel cable that would be included in the kit instead of anchor strips. 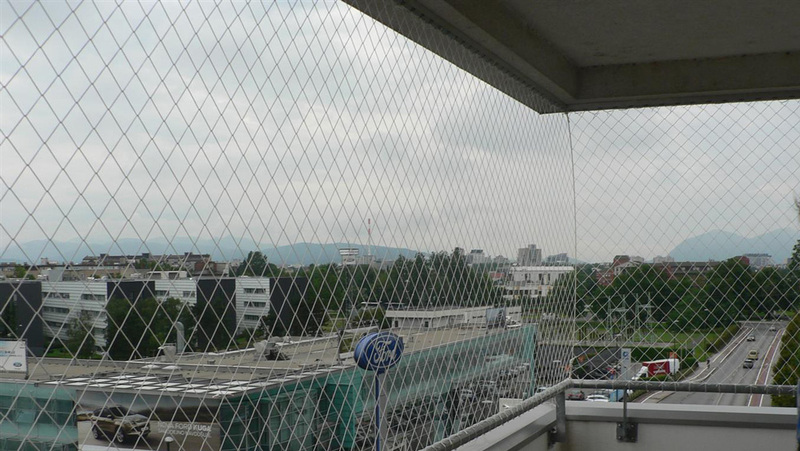 The Safety Netting System can be attached to a wide range of base types, but there is one condition that has to be met: sufficient base firmness. The anchir strips needs be attached to the base which must provide enough firmness to withstand the heaviest load possible - strong pressure on the net. 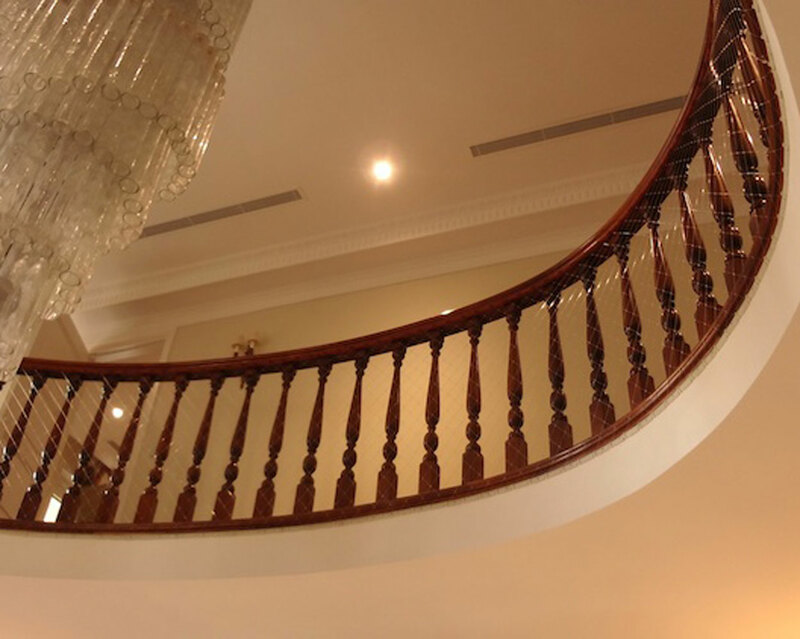 The best base types are concrete, metal, strong hardwood, full brick and other strong materials in good condition. In case of porous (brittle) base or thick insulation usually the aluminum tube (iron or steel square tubes) or a frame must be used and screwed deep into the firm base. Rarely, in case of very porous materials, the threaded rod with the compatible adhesive is used. The frame can be built from square tubes of aluminum or iron. It needs to be firm enough as it will hold the Safety Net and should withstand very strong preassure. Please note: Kidpro kit contains basic screw types and dowels for concrete, full brick, wood, metal and drywall - plasterboard. Other types of screws are provided upon request. The aluminum tubes and/or frame are NOT included in the kit as the shipping cost would be undesirably high and it can be simply purchased in a local store. • Read and follow the installation instructions carefully. If you have additional questions or concerns, please contact us by phone or email. We would be happy to assist you. our facebook page to stay tuned for updates and promotions.